You have lots of options when it comes to speaking directly to Saint Nick. Let’s get started. 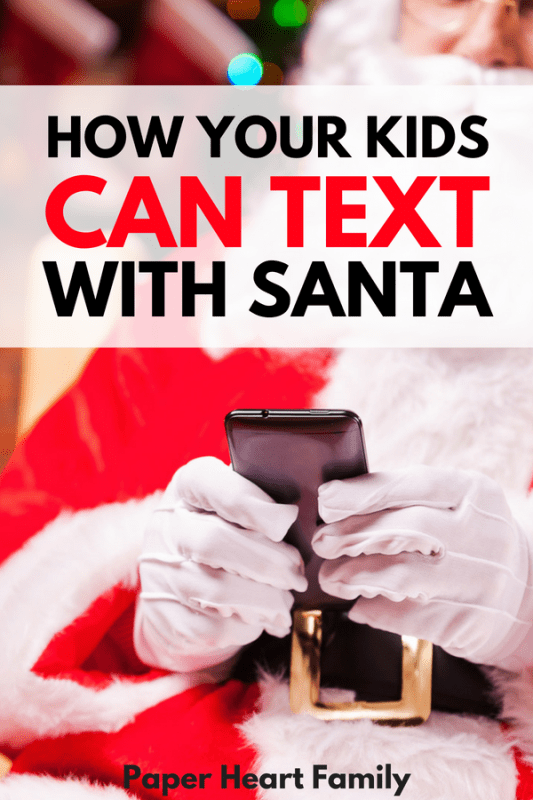 From December 1st until Christmas Day, you can sign your child up with www.santa.com to receive daily personalized texts. These text include amusing facts (like how reindeer can fly), messages about what’s going on in the North Pole, and messages reminding your child to do important things (like read before bed). Cost: a one time payment of 9.99. 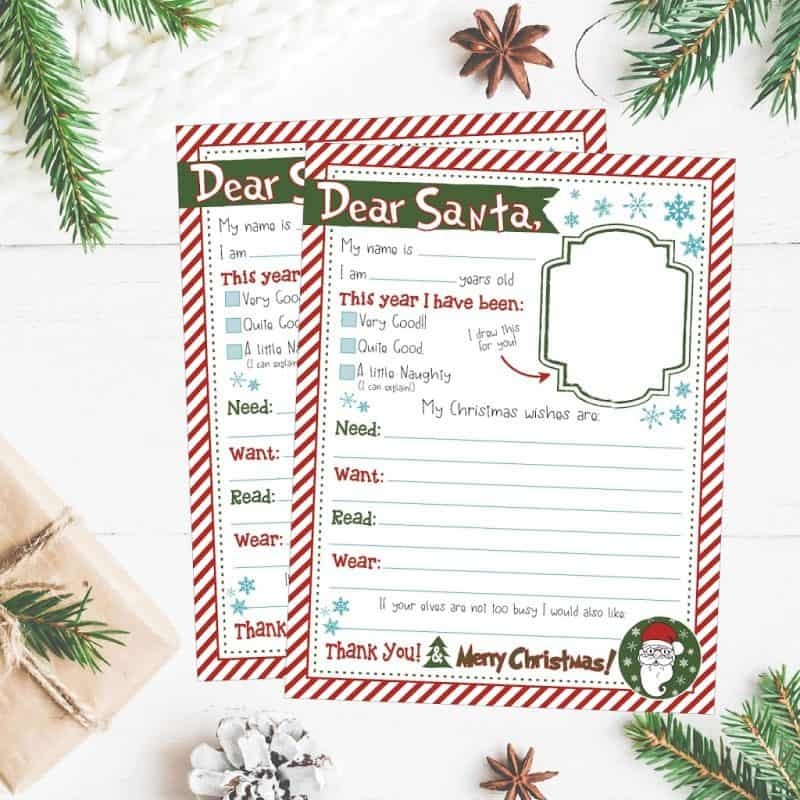 Of course you could simply send a handwritten letter to Santa on a plain piece of paper, but why do that when you can get adorable free printable letters to send to Santa? This first option is from Lyndsay of Simply September. I LOVE that it gives your child a chance to reflect on the past year and how she was kind. It also gives your child a chance to draw a picture for Santa! The second option comes from Hadley Designs. I adore the design of this letter. It’s perfect for families who don’t give many presents, and who might want to focus on Santa giving something that your child needs, wants, can wear and can read. Now that you letter is written and ready to be sent to Santa, you might be wondering how you’re actually going to get it to him. Follow these instructions that tell you how to get a letter from Santa that is officially postmarked from the North Pole. If you would rather take the digital route, you might prefer to email Santa. 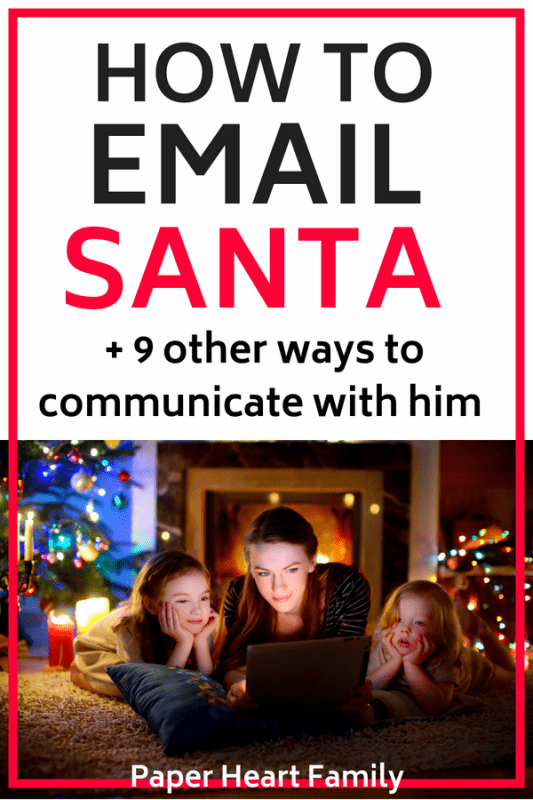 Email Santa is great for kids because it gives them prompts. When your child is asked how good she’s been, a drop down menu gives these options: I should be the angel on top of the tree, my halo is just a little bit crooked, I should still be on the nice list, and my halo has been to the repair shop only a few times. It also gives your child a chance to add a few things from her wish list, and a spot to add anything else that she really wants to say to Santa. Your child can then choose to receive a written reply (within a few seconds), or a video reply (which takes a little longer). This site contains other really fun stuff too, like the ability to vote for who will lead Santa’s sleigh. You can also send an email to Rudolph on behalf of a pet, view Santa on the SantaCam, read Santa’s tweets, and more! This app allows your child to receive personalized calls from Santa. Your child can also text Santa and use Santa’s voicemail in order to leave her wish list. Santa will call at various times and can mention your child’s name, age and interests. If your child would like to call Santa directly, simply dial 951-262-3062. Your child will get Santa’s voicemail prompting them to leave their Christmas wish list. The Santa’s Calling app allows you to schedule a call with Santa, Chester the Elf, Frosty the Snowman, Rudy the Reindeer or Mrs. Claus. You can also choose from 6 Christmas-y ring tones. However, kids cannot interact with the caller. This website allows you to recieve a free video from Santa. You can choose from 5 different North Pole adventures. The video will include Santa saying your child’s name, a naughty or nice verdict, all of your child’s favorite North Pole characters, your child’s photo, age and more. And because I simply don’t know which video message is better, here’s another option for you. ElfiSanta’s videos provide even more options for personalization. Videos can be personalized to include 1, 2, 3 or more children. 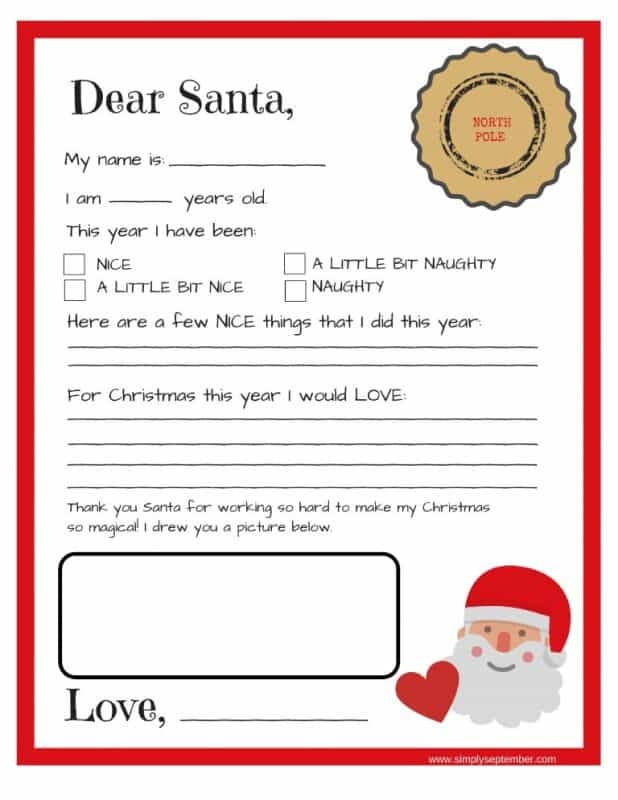 You can also include a photo of your child or your house, and any general remarks that you want Santa to include. Since Santa is always checking in on us, why not check in on him for a change? Find a live feed of Santa’s reindeer at Reindeer Cam. On Christmas Eve, make sure to check in with Google Santa Tracker to watch Santa make his way all over the world on Google Maps. Make sure that you make it a point to go see the jolly old elf in person also! How are your kids going to talk with Santa this year?